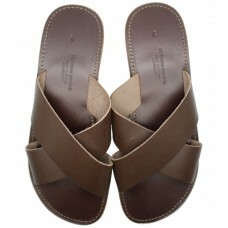 A classic, very comfortable design. Perfect for work or relaxation. 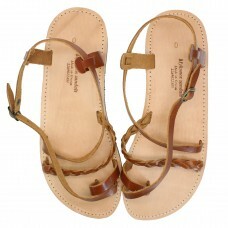 Available in Natural, Brown and ..
A contemporary twist on a classic ancient Greek sandal. 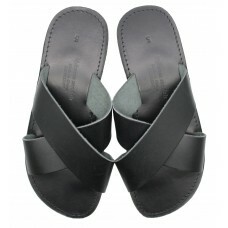 The cross design at the front holds your f..
Our Crossover Slide Sandals are a relaxed casual style that can also dual use in a more formal envir..
Delicate Strap Sandals - A fashionable handmade sandal perfect for evening wear. 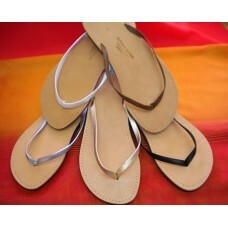 Supremely comfortab..
Delicate Strap Flip Flops - A fashionable handmade sandal perfect for evening wear. Supremely comfor.. 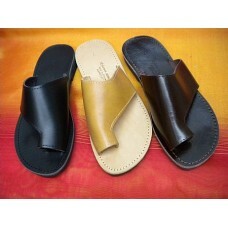 This bestseller is very versatile, perfect for any occasion from dinner to long walks. 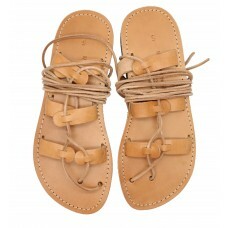 Your foot is ..
Delicate strapped, buckled sandal with decorative plait.To avoid accidents this model has a non-slip.. 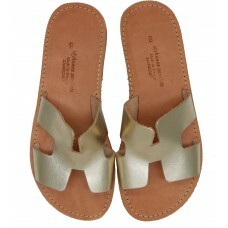 This is probably the most ancient Greek sandal design ever, which is why we have named it the Delos ..
One of our most popular styles. 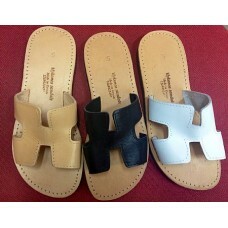 The Htta is named after the Greek letter H. Perfect for all occasion.. 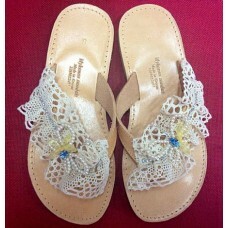 The Lace and Butterfly is beautifully hand decorated with lace, then finished with a unique handmade..
Classic Greek knot sandal with doll. One of our Classic original designs, often imitated, never bett.. The Little Venice Sunset outside our door is the most beautiful on Mykonos. No visit to the island i..